The couple began looking for a church where they felt more at home. 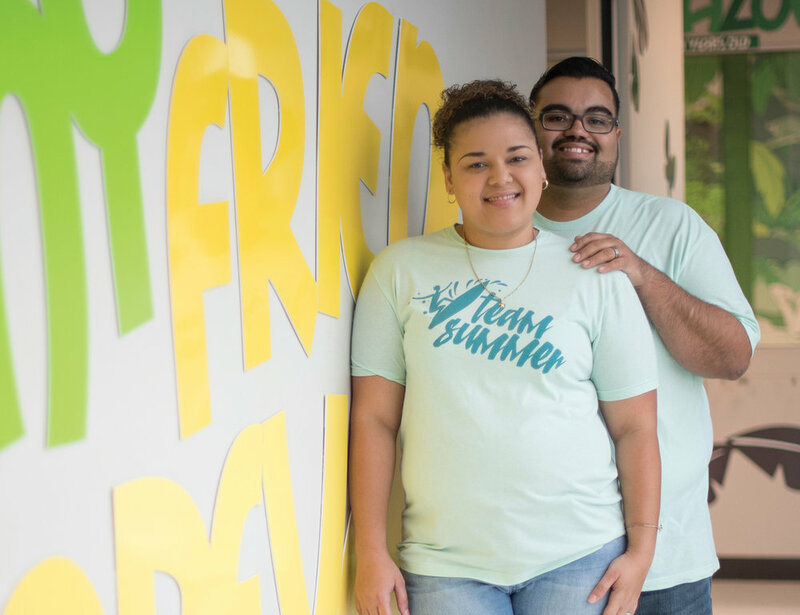 Willie and Farrah had been to the Summit Waterford building in 2015 while taking a 12-week course for a state adoption that fell through. In February of 2017 they decided to try attending a service there, and right away they felt the connection they were looking for. A few weeks later, they heard announcements about the upcoming spring Beach Baptism, they wondered if it might be their next step. Willie, who spent time in Catholic, Baptist, and Pentecostal churches during his childhood, was baptized as an infant. Farrah had also grown up in church and been baptized as an infant, and she had questions about adult baptism. Through talking to Garry Abbott (Waterford Campus Pastor), Willie and Farrah got the full picture of baptism—that it’s a public act of worship that outwardly displays what God has done inwardly to change your heart. If God is calling you toward being baptized, we want to stand alongside you and cheer you on in that decision. You can register to be baptized for our April 29th Beach Baptism (and find out all the details you need to know about attending Beach Baptism) right here. We're excited to spend the day celebrating with you! Melissa Stillman is one of our most longstanding volunteer writers. She is very kind and a talented writer who has been serving on the Summit Magazine team for several years.